Here at Overdrive, you will know that we specialise in classic car repairs. Sometimes we find that some people find it hard to define the difference between certain type of cars. This is why we ask what is the difference between a vintage car, a classic car and an antique car? The definitions do overlap a tad but we define them below. Buying a classic car can be a big decision and can set you back by a large amount. You want to make sure the car stays in the best condition it can for the time you have with it. If you don’t maintain it then over time they will deteriorate. Here are some tips to keep your prized possession in top condition. This is not just for classic cars, every car, new or old is better off stored indoors. By keeping the car indoors deters burglars, as well as protecting your car from the elements, and help prevent premature damage such as rusting. In addition to this, some insurance providers will request that the car is stored off-street. as mentioned before, these cars tend to rust easier, so avoid driving when the weather is gloomy. to deter the mechanical frailties from developing drive in summer months when the weather is dry and clear. Make sure all the fluids in your car are stocked up. This includes oil, water and brake fluid. This is vital to do as these cars can overheat easily so it needs a lubricant to stay cool in order to keep it running efficiently. That also means keeping a close eye on the gauges and swapping things out regularly. However, bear in mind that parts of older models can be extremely rare and may be hard to source. If you need a service or repair then check out our list of services here. Regular cleaning should be a given when purchasing a classic car. The less the car is cleaned the higher the likelihood of the paint fading or scratching. Ideally, you should wash the body of the car and then the undercarriage. To make it looks its best apply a layer of wax to the body. Cleaning not only helps the car to look good but to also perform better, especially when cleaning the tyres. One of the most important considerations if you own a classic car is getting insurance. Most of the larger insurance companies have specialists teams which deal specifically with these types of vehicles. Or there are even some companies which deal with classic cars exclusively. If you own a genuine well-maintained classic, then consider full storage. They can be seen as an investment as there is less chance the car will deter if it is never driven. However, this option is more for those who want to make a profit on the car, not for those who own it out of love for the vehicle. If you need any assistance with the maintenance and repair of your classic vehicle, then please do not hesitate to contact us here. We are re-manufacturers of all the Laycock de Normanville overdrive units and their spare parts. Staffed by ex-Laycock employees, we offer a professional service to all Classic Car Owners and Restorers. Manufactured between 1961 and 1975, the British sports car was a symbol of incredibly modern design and performance. On the year of its release, Enzo Ferrari called it ‘the most beautiful car ever made’ and the two-seater has since been seen as iconic, appearing in various Hollywood films and top cars lists. No iconic cars’ list could be completed without James Bond’s favourite manufacturer: Aston Martin. The British-made luxury grand tourer was released in 1963 and has since made us dream about its incredible design and high performance. The small English two-seater sports a classic 1960s design, a 1147 cc OHV I4 engine and a 4-speed manual transmission. 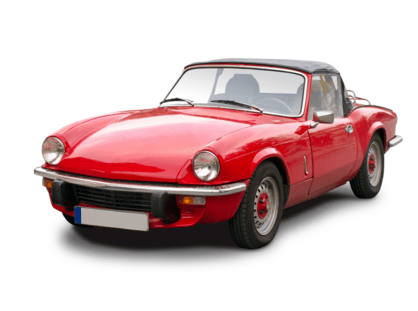 It is a great and relatively affordable classic car to own so make sure you check our classic car buying guide for more information! The two-seater is a classic German sports car, with independent suspensions and a six-cylinder boxer engine. Since its introduction in 1963, it became an instant classic and it is considered one of the most successful competition cars in history. The ‘Superbug’, as it has also been called over the years, is a great example of how iconic cars are not necessarily incredibly pricey. The reason why the Beetle always makes any iconic cars list is for its importance in the history of motorisation. It was created by Ferdinand Porsche in 1938 as a cheap and easily available car, changing the way people viewed motorisation forever. Thanks to the Beetle, cars became available to most families as opposed to the few, leading to a massive change in the lives of the low to middle classes. Above are five of the most iconic cars of all time, which have made us dream about one day owning or leasing them. If you are thinking of making that dream come true, always think about eventual repairs and substitutions first. Have a look at our articles to find out what you should look for before buying a classic car! Which Oil Should Be Used in an Austin Healey Overdrive Gearbox? The type of oil that you should use in your Healey overdrive gearbox may be something you’ve thought of for a while.